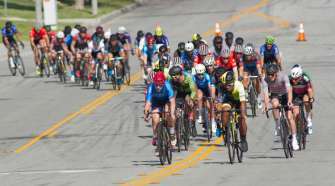 SoCalCycling.com caught up with Streets Are For Everyone’s (SAFE) Dayna Galbreath D/ED of Public Outreach to learn more about the Finish the Ride Movement and the upcoming Finish the Ride Santa Clarita cycling event that takes place on October 7, 2018. 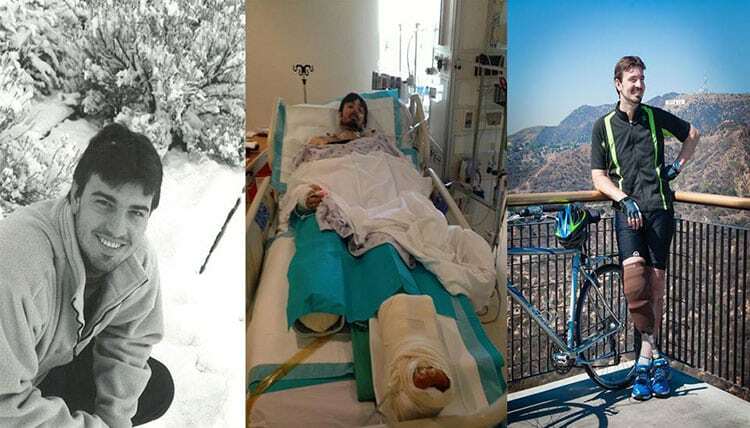 SoCalCycling.com: The Finish the Ride Movement was born from a horrific hit and run accident in 2013 that founder Damian Kevitt had while riding his bike with his wife to the LA Zoo. Can you tell us more about Damian’s accident and the recovery process that followed. Finish the Ride: On Sunday, February 17th, 2013, Damian and his wife were riding their bikes along the LA River Bike Path, heading to the LA Zoo to have lunch together. Only a few hundred feet from their destination, with his wife riding behind him, Damian was struck by a light colored mini-van. It would have been a minor crash but, instead of stopping, the driver sped up to flee the scene. Damian fell forward from the hood of his car and ended up pinned underneath the minivan as the driver accelerated onto the 5 Freeway to get away. Despite being dragged on the road and having his right leg crushed by the car, Damian hung onto consciousness, determined to get out alive. He banged on the underside of the car, yelling for the driver to stop… but to no avail. With the knowledge that he had seconds to live or die, Damian managed to free himself and ended up laying in traffic lanes on the freeway. He was badly injured but alive. Along with over 20 broken bones, extensive tissue damage and road burns, the doctors had to amputate his right leg and were doubtful they could salvage his left leg. Damian’s friends and family rallied to his side but, as anyone there will tell you, it was Damian’s courage, spiritual strength and determination to help others that carried him through the darkest days just following the crime. As word of the hit and run crime spread to millions in Los Angeles and tens of millions around the world, support from friends, associates and total strangers near and far poured in. While the worst of the trauma was behind him, Damian still had to get through months of surgeries and physical therapy before he could walk again, much less possibly ride a bike. It was at this time, laying in his hospital bed and unable to move, Damian vowed to not only “finish the ride” but to use this crime for the benefit of others and the city of Los Angeles. And that was how “Finish The Ride” and Streets Are For Everyone (SAFE) was born. SoCalCycling.com: Tell us about the inspiration behind the very first Finish the Ride that took place just four months after Damian’s accident and the experience and support that the first Finish the Ride received. 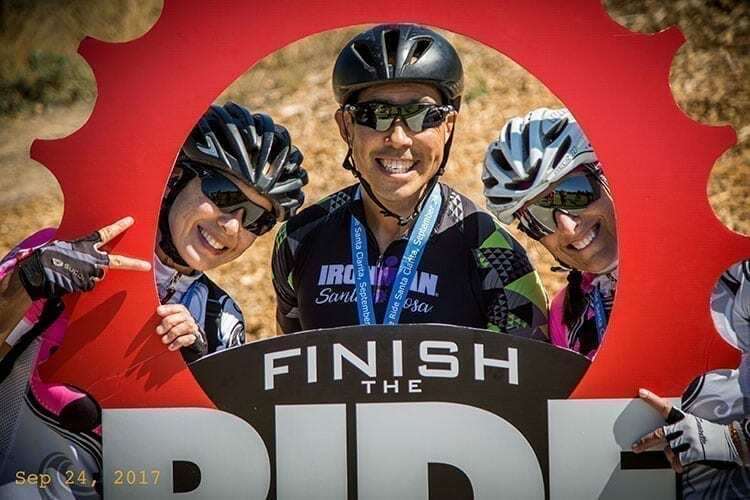 Finish the Ride: While Damian was in the hospital recovering from the hit and run crime, one of his goals to get him through the long recovery process ahead was to “Finish The Ride” that almost killed him. And that is exactly what he did. Just a little over a year after the collision, on April 27, 2014, Damian did just that along with friends, family, and 800 other fellow cyclists — all gathered in support of Damian, his recovery and mission to Finish The Ride. The ride re-traced his original ride from Hollywood to Griffith Park. The ride was kicked off by Congressman Adam Schiff, State Assemblyman Mike Gatto, City Councilman Mitch O’Farrell, City Councilman Tom LaBonge, and lastly, an impactful message from Damian. The message of the original event was clear: improving traffic safety and handling hit and run crimes. The best part about the event is due to its success, the incidence of hit and run crimes in Los Angeles dropped by 16% that year! We definitely have a long way to go but persistence and determination almost always wins. 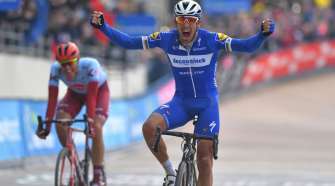 SoCalCycling.com: What is Finish the Ride’s mission? Finish the Ride: Finish The Ride has always been a movement to make the streets of Southern California safer. Finish The Ride is a project under the non-profit organization, Streets Are For Everyone (SAFE), whose mission is aiming to improve the quality of life for pedestrians, bicyclists and drivers alike by working to reduce traffic caused fatalities to Zero. We, as an organization, want to prevent the pain and suffering that Damian endured from happening to other families and individuals. 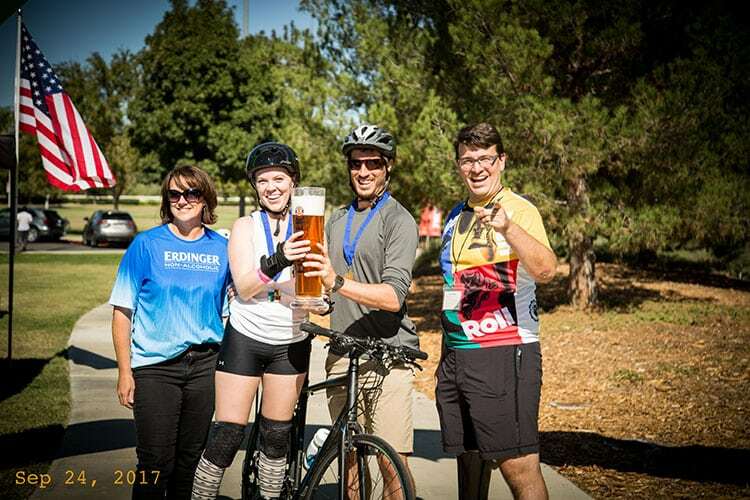 SoCalCycling.com: Tell us more about the “Finish the Ride” and “Finish the Run” events and what participants can look forward to. 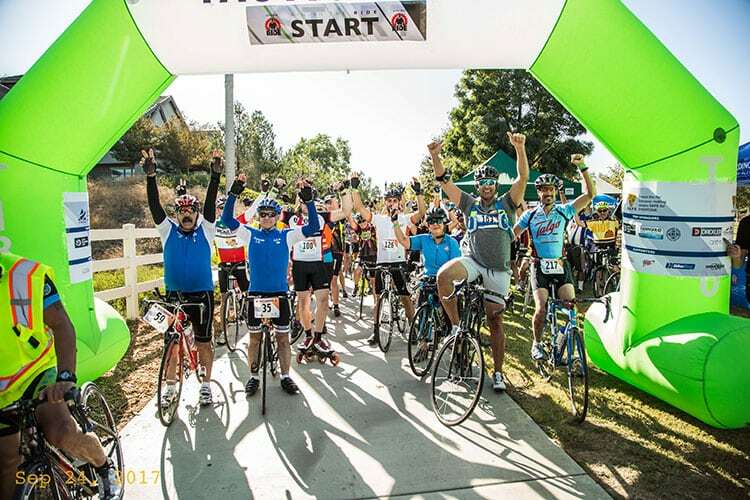 Finish the Ride: Our Finish The Ride Santa Clarita event is in its 3rd year and is growing every year. We have everything from a 12 Mile Family Ride, to a 25 Mile Tour de River, to our challenging Metric Century — definitely something for everyone! 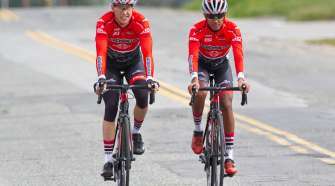 Santa Clarita is a great place to ride and there is definitely a reason why Santa Clarita is known as the Southern California hub of cycling — scores of great bike paths run through this valley. Our rides follow the scenic San Francisquito bike path as well as riding the beautiful Santa Clara River Path. Our acclaimed Metric Century even travels up to Acton by the Vasquez Rocks. Our rides are always fully supported with SAG Wagons, marshals and pit stops along the way. After the ride, anyone can join us at the park where we will have a great free expo available with food, live music, a raffle with great prizes, food and dessert trucks, a beer garden with free beer, and more! All proceeds from sales go to SAFE and our efforts. 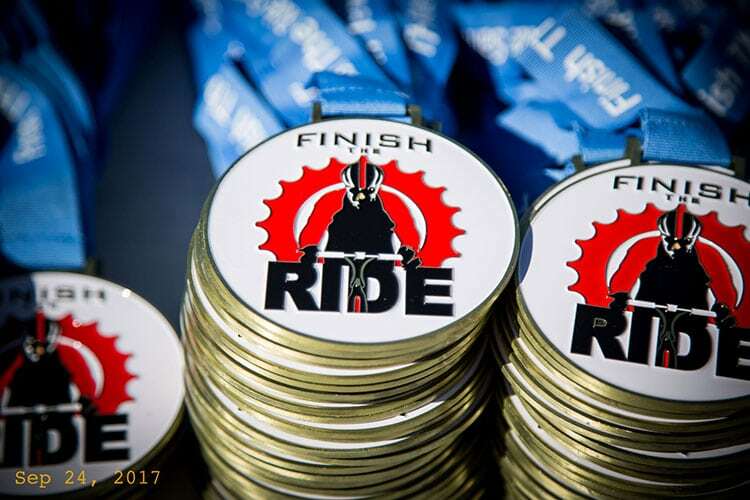 All participants also get a finishing medal, a choice between cycling socks or an event t-shirt and if they donate at least $2, a chance to win a free bike donated by our sponsor Pure Cycles among other free stuff. The more that join, the more our message for safer streets is heard and our ability to move forward with our work is easier. We love that so many have joined us in support of making the streets safer for everyone. SoCalCycling.com: Tell us about the non-profit organization Streets Are For Everyone (SAFE). Finish the Ride: After the success of the inaugural Finish The Ride event, there were so many people saying, “Please don’t stop. You need to keep going.” Who were we to argue? We formed Streets Are For Everyone (SAFE) in March of 2015, which has the same mission of Finish The Ride, to reduce traffic fatalities and improve safety on the streets of Southern California. SAFE accomplishes this through direct education, broad awareness campaigns, partnerships, community outreach, policy and legislation, support for those impacted and other proven strategies. SAFE Support — the nation’s first and only support service for those victims and families affected by traffic collisions and traumatic injury. Streets, Art, SAFE — a film competition where Hollywood filmmakers mentor high school students to produce traffic safety PSAs. I’ll send you this year’s winner, it was quite impressive and fully produced by the students! SAFE Kids — a new program (partnered with the LAPD) to help directly educate elementary school students on the importance of being a safe pedestrian and what to do to avoid the dangers out on our roads. And much more. What we do is not possible without all the community support. SoCalCycling.com: How can someone become involved with Finish the Ride and Streets Are For Everyone (SAFE) to help make a difference to make our streets safer? Finish the Ride: We have several ways for anyone to be involved. We have several volunteer opportunities, from our fundraising events, to peer mentoring for our SAFE Support program, even becoming a SAFE representative should someone want to bring about a change in street safety to their area. Anyone can feel free to contact us to get involved and with any questions at [email protected] or by calling (844) 884-7233 Ext. 804.